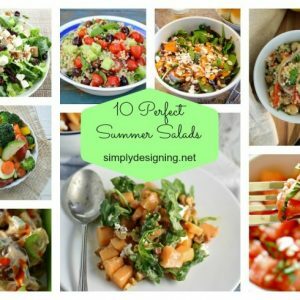 I have told you many times how much I love my Silhouette and I have shown you many projects that I have completed using my Silhouette too (including my most favorite project here)! And today I want to show you a project I made using my Designer Edition Software! The free Silhouette Software program that comes with the Silhouette is quite amazing. There are so many features that I love. However, the Designer Edition Software really ups the game and allows so many more customization options that I simply don’t know how I ever did without! One of my favorite Designer Edition features is the ability to ungroup more designs which allows for more customization. Plus there are many more features, you can read all about them here. 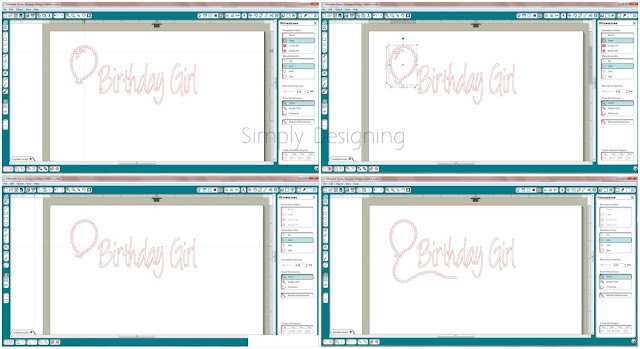 Really, once you try the Designer Edition Software out, you are going to love it!!! So today, I used their designer edition software program to take a “regular cut” design, turn it into a “rhinestone” design, add more rhinestones and even tweak where a few of the rhinestones were. This is my first time using the Rhinestone starter kit and I had a LOT of fun with it! 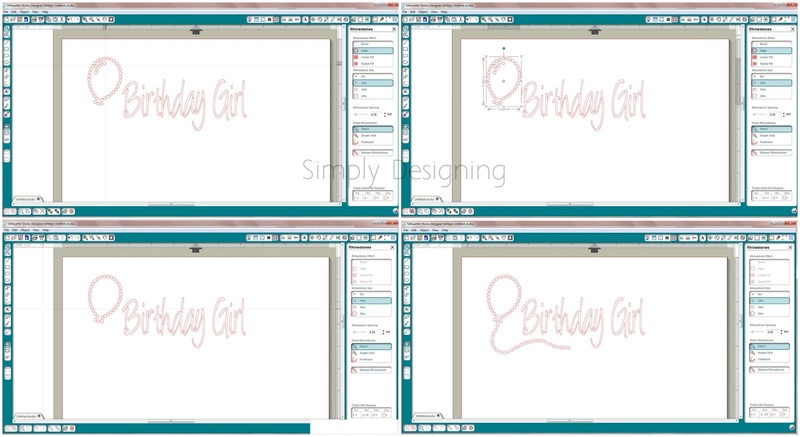 With the regular software program you can import rhinestone designs, but with the designer edition software program you can create your own designs! How cool is that!? All I did was import my balloon design into my page. Next I sized the image to the final size I wanted it to be. They I used the Rhinestone tool, selected the correct size of rhinestones and then I tweaked the spacing to make it look good. After it was looking good, I released the rhinestones (basically like ungrouping the image) and deleted the ones I didn’t want out of there! I used the freeform tool to create the string and then I moved, nudged and added a few more rhinestones until it looked just perfect! I grouped the entire image together so I didn’t accidentally move anything and I ended up with a super cute design! 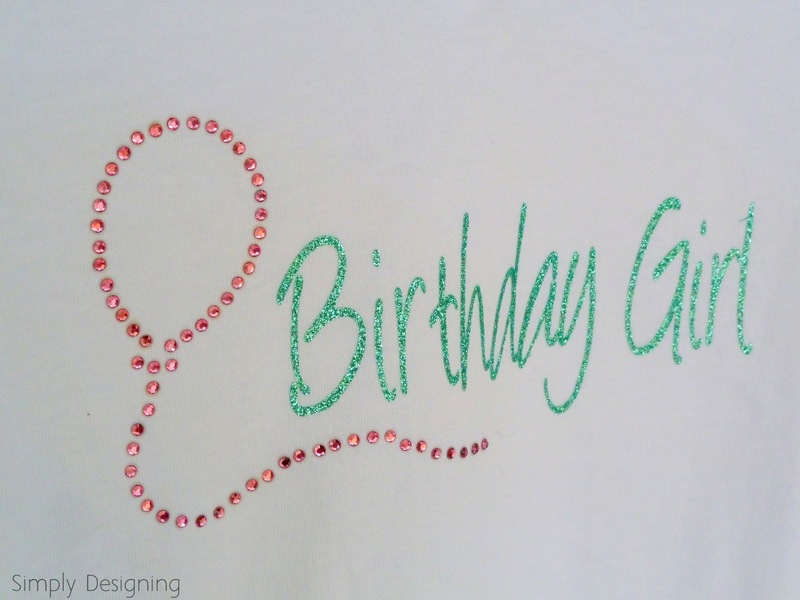 The Rhinestone starter kit comes with great directions so it was really easy to figure out how to cut and apply the rhinestones to my shirt! Pictures don’t to the sparkly justice 🙂 I can’t wait to show my daughter her new cute shirt! 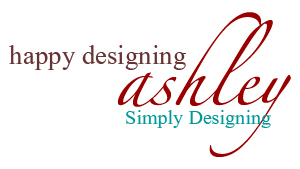 I really do love my Silhouette and my Designer Edition Software! And I know you would love it too! So pick it up while it is on sale for only $24.99 using my code below! 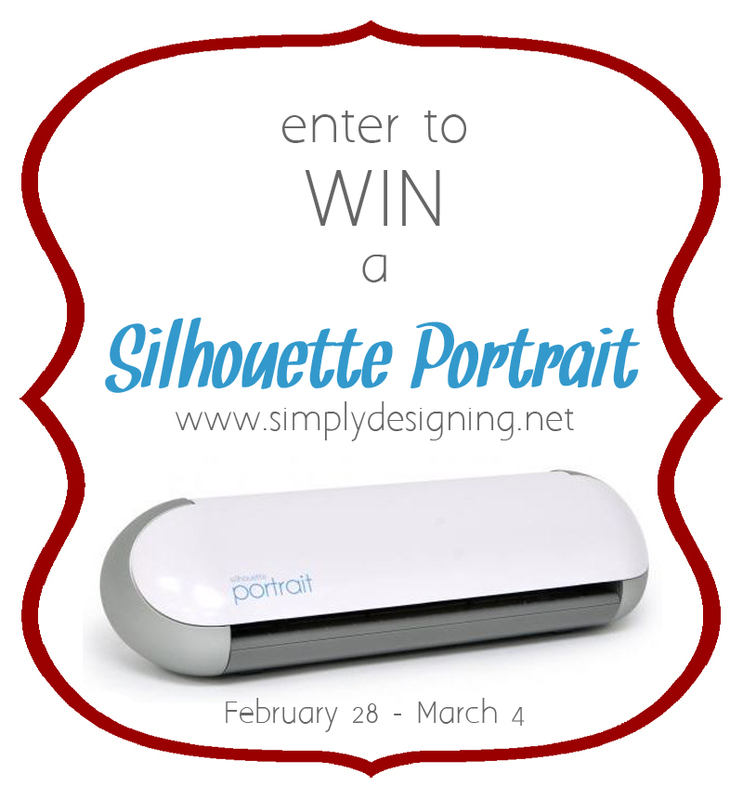 So be sure to enter to WIN your Silhouette below! to get these amazing deals! 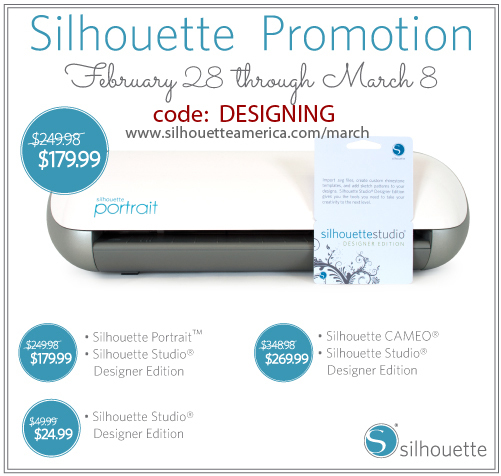 Now it’s time to enter to WIN a Silhouette!! Use the Rafflecopter entry form below and enter to win! Contest will end March 4th at 6:00am EST, and winner will be announced later that day. Winner must contact me within 24 hours or another winner will be chosen. I would make appliques for a quilt I am going to be making. I have dreamed of owning one of these for some time now. Thank you so much for hosting this giveaway. 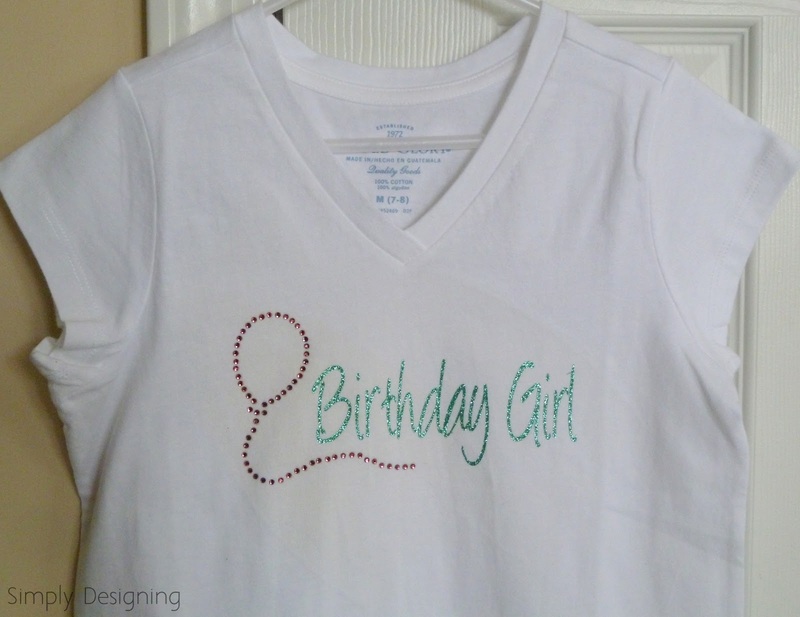 Love the birthday girls new shirt…great design. Good Luck everyone!! I&#39;ll make my jeans look awesome with it. Thanks for the giveaway! I&#39;m just opening up my boutique! This would help me so much! I&#39;d make wall decorations for my baby&#39;s nursery. I would make lots of labels! If I had a silhouette my to do list would grow very long! How exciting to get to give one away. Congratulations in advance to the winner! I would use it to cut vinyl for my home! I&#39;d make my daughter&#39;s mermaid birthday party supplies! I&#39;m on an organizing kick lately so I&#39;d use it to jazz things up a bit! would love to use the vinyl and make lots of things! My daughters would FLIP over custom sparkly clothes!! Hooray!!! I would love this! I would make decorations for the kids&#39; rooms. I absolutely loved your pallet style DIY sign, I would try to make one myself. I would totally make a bling shirt using the rhinestones for me &amp; my daughter. It would be so cute to wear during one of our mother &amp; daughter days. I would definitely start to make labels for my son&#39;s toys/books! Thanks for the great giveaway!! Would love to try some of that glittery heat transfer! I would make subway easter eggs! Vinyl art, sparkly clothes, eek! The possibilities are endless!! I would love to make vinyl letters! This makes so many crafts easier! I&#39;d love to create vinyl and paper decorations for my twin boys&#39; nursery! I would love to have one of these! Vinyl projects are everywhere! Omigosh How I would love to win one of these. 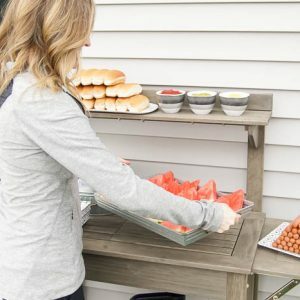 I want to DIY home decorations!! I&#39;d love to make subway art! I would love this so I can try all these neat things I see! I plan to use it to cut some intricate 3d shapes for handmade birthday cards for my friends. So let&#39;s hope I win or they won&#39;t be getting any ! I would finish my birthday countdown blocks! Yippee! Oh, I want to win soooo bad!!! 🙂 I would use it to make wall art and Easter designs. Thank you so much for the chance. I would use it for quilt appliques and many many more projects!! I have so many project in mind with one of these! I&#39;d love to play with the heat transfer vinyl!! We just moved and I am needing to do decor items all over my home. I would start with my little girls room. I would love to get one! The crafting possibilities are endless. I would love to make chalkboard labels! Window decals for the rear window of cars. Not the family type doo-dads, but some we all have on our cars to remember someone. I would love to make the kids school projects better with this cutter. Seems like every week there is something that needs to be cut out or created for one of them. Thank you for the chance to win! I would love to win a silhouette to make all those projects that have been floating around in my head. Thanks for doing this giveaway. Oh wow! How awesome is this??? I am into paper crafts and have wanted one of these for AGES now, however the first thing I would make is a customized glass. I saw a woman at a Craft fair take these plastic insulated glasses (I found them at the dollar store) and customize them. That would just be my first project! Would love to try making some wall art! My daughter started HS this year and has actually joined two sport teams. I would love to make her something special for her sport bag with the team emblem. They are plain, and maybe add pizazz to her water bottle. Oh, joy!! The projects one could do with the Silhouette…endless!!!! Good luck to all!! I would LOVE to win this! Thanks for the amazing giveaway! Yahoo….so excited to see my name there…thank you so much…can&#39;t wait to share this with my girlies when they get home from school…projects will be soooo much easier now!!! That is adorable! I have got to try the rhinestones!